Pronounced [SPIN-itch]. Spinach is a "leafy green" and also a bitter green. The Origins of Spinach. Spinach is thought to have originated in the Middle East. It was grown in Spain as early as the the 8th century and the Spaniards brought it to the New World. Spinach contains oxalic acid, providing the slightly bitter taste prized by some and despised by others. Spinach's dark green leaves may be either curled or smooth. The Season. Spinach is a "cool season" crop, its growing season is "late winter" through "late spring." In climates with long summers, a second crop is planted in "late summer" for harvest before winter. Luckily for those of us who aren't gardeners (or in our off-seasons), fresh spinach is a year-round staple in modern grocery stores. Fresh Baby Spinach. I love-love-love bags of already-washed fresh baby spinach from the grocery store. Both the leaves and stems are small and tender, perfect for salads. 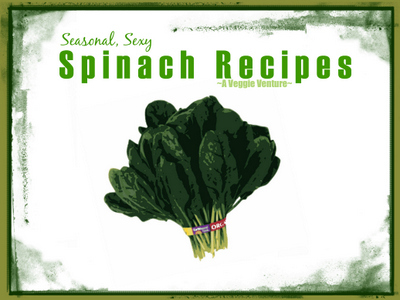 Baby spinach is best eaten raw, it just "melts" into a gooey mess with only a touch of heat. Who's tried the red spinach from Trader Joe's? So pretty! It's less convenient, of course, but do rinse even pre-washed spinach and other salad greens just before serving, they'll be so much fresher! Do dry the leaves, either by patting with paper towels or running through a salad spinner. Fresh "Mature" Spinach. Grocery stores also carry bags and bundles of spinach with larger leaves. For simplicity, let's call it "mature" spinach, shall we? Some times even mature spinach is quite tender, it can also be eaten raw though you might want to cut the leaves into easier-to-manage ribbons. But mature spinach is the right spinach for cooking. In fact, it will cook in just a minute or two if you drop it into something hot like soup or hot pasta. Some mature spinach has quite-thick, almost collard-thick and chewy leaves, choose this form of spinach for slow-cooking spinach or long-cooked southern-style greens. Cooked spinach, at its best, is dark and velvety. Chop Off Those Stems? Spinach stems can be a little tough. Three ways to handle this. First, I suppose is to just accept the tough texture and (when cooked) some times stringy appearance. Second, you can just cut off the stems and put them into the compost bowl. Trouble is, the stems can account for as much as half the weight; this means that even after accounting for shrinkage, you need to buy twice as much as you think – yikes! The third option is to cut off the stems, chop them up, them cook them by themselves first or with a little onion, say, then add the spinach leaves and finish cooking. Frozen Spinach. Frozen spinach comes in small boxes and larger bags. I'm a big fan of frozen spinach but the quality does really vary. I have better luck (fewer stems, higher quality) with the bags. Be aware that frozen spinach is frozen but does need cooking, not just heating. I keep thawed and squeezed frozen spinach in the fridge, that means it's always on hand to throw into a stir-fry, an omelet, etc. Also know that a 16-ounce bag of frozen spinach, once thawed and squeezed, yields only nine or ten ounces of useable spinach. I haven't done the math but it sure makes me question the "value" of frozen spinach. Florentine = Spinach. For my fellow Word Dancers! Did you know that when a recipe includes the word "Florentine" it means it contains spinach?! Cool, eh?! The story goes that Catherine de Medici, the Italian-born queen of France in the 1500s was crazy for spinach and in queenly fashion, insisted on spinach at every meal. She was born in the city of Florence, so spinach dishes came to be known as "Florentine". Spinach = Super Food. Spinach is a nutritional powerhouse. It's a great source of antioxidants, Vitamin A, folic acid and even plant-based protein. Catherine might have been onto something! And Popeye too! Greens = Financial Success It's an old tradition in the American South to cook greens at New Year's. 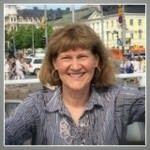 Do that, the old-timers say, to guarantee financial success in the year ahead. The Incredible Shrinking Spinach. A pound of raw spinach makes for one big pile of spinach leaves! But once trimmed of stems and tough ribs and cooked, even briefly and whether sautéed or steamed or microwaved, it cooks down to almost nothing, maybe two servings. Shrinkage is also the reason to add a large amount of spinach to a soup or stew, say, in batches. Growing Spinach. We are growing spinach for the first time this year! This page is a great resource. More later! Natural Pairings. Spinach is so versatile! But I especially love spinach paired with eggs, you'll find several recipes below. It's also a natural match with cream and soy sauce. Sources. Personal experience and accumulated learning, also the most-wonderful On Food and Cooking: The Science and Lore of the Kitchen by Harold McGee and Vegetable Love by Barbara Kafka. Spinach is spinach (there are, of course, different varieties) but it's just one form of the healthy food we generically call "leafy greens". 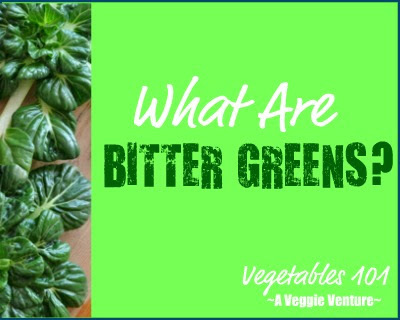 See leafy greens for a list of the many forms of often-interchangeable greens. HEY SPINACH LOVERS! WHAT SOUNDS GOOD? Baby Spinach – Small, tender leaves too tender for cooking, best eaten raw. "Mature" Spinach – Cook larger, just slightly less tender spinach leaves very briefly by steaming; sautéing; even just by tossing into other hot ingredients (e.g., hot pasta or hot eggs or hot soup). Heavy-leaved Spinach – Heavy leaves can withstand long-cooking like southern-style greens. Frozen Spinach – Thaw and squeeze first, needs actual cooking not just heating. Spinach bundles – Must be washed well, lots of grit attaches to the leaves! Soak the spinach in warm (not hot) water for a few minutes to loosen the dirt. For extra-dirty leaves from the farmers market, especially curly spinach, rinse each leaf under running water and then soak and drain again. For small bundles, I use the basket and base of the salad spinner, soaking the spinach and draining the water two or three or some times even four times until the water is clear. For large bundles, I use a large colander inside a large stainless steel bowl. No recipes yet, this is my reminder! Who knows?! I have my eye on a spinach cake! Than you for the education and recipes for spinach. It was on sale at the grocery store and I bought alt of frozen chopped since it is weight watchers friendly and good for you.I look forward to making some of the recipes you have listed. Thanks, Shelia! It’s definitely a continuing obsession of mine! FYI this week I remade the Lentil, Pepper and Spinach Supper and it was SO good, I think it would be good with frozen spinach too, just be sure to thaw it well and squeeze out all that excess liquid. Let me know what works for you! PS And good luck with your WW journey!